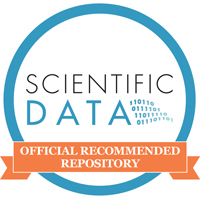 PASTA+ now provides a set of web services to enable users to document and manage associations between data packages in the Environmental Data Initiative (EDI) data repository with journal articles or other manuscripts that are known to utilize the data objects contained within them. The EDI Data Portal has been enhanced to take advantage of these new “journal citation web services” with a convenient form-based user interface. Journal citations documented in PASTA+ through these web services are also registered in DataCite by storing the association in the data package’s DOI metadata. How journal citation metadata are registered in DataCite.